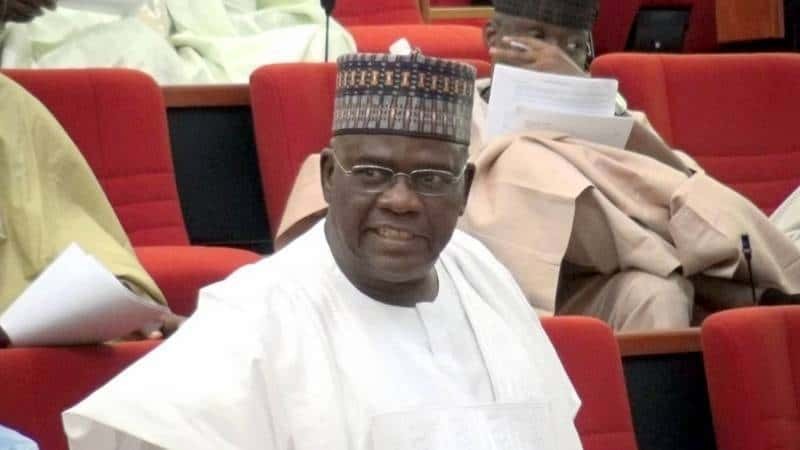 The National Chairman of the Peoples Democratic Party (PDP), Mr Uche Secondus, has reacted to the defection of former Senate Minority Leader, Senator Godswill Apkabio, to the ruling All Progressives Congress (APC) yesterday. 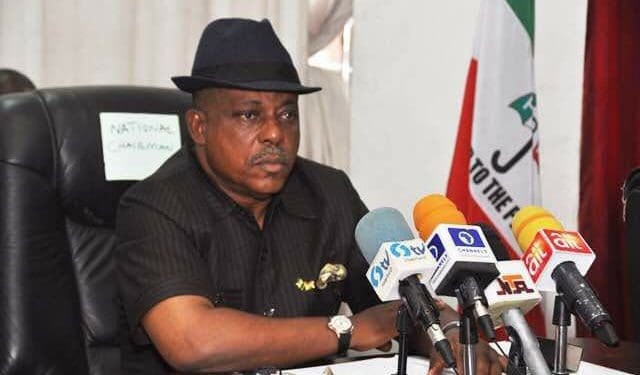 In a statement by the media adviser to the PDP boss, Naija News learnt that Secondus said it was unfortunate that the lawmaker chose to walk against the tide to endanger his fine political career. 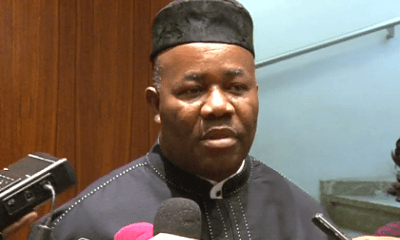 “He (Akpabio) deserves our pity because whatever would make somebody choose badly for good is clearly one that he should be prayed for, for salvation, especially given the fact that wolves are waiting for his arrival to devour him,” the PDP leader claimed. “How on earth can anybody who has his eyes wide open be seen walking into danger knowingly?” he questioned. Secondus alleged that whatever caused Senator Akpabio’s action must have been for self-preservation and not borne out of any rational strategic political decision. According to him, it is strange that anybody would go into a sinking ship at a time every other person is finding their way out of it. 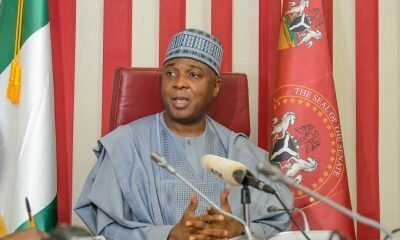 The National Chairman also believed that the decision of the former Senate Minority Leader does not enjoy the blessing of the people of Akwa Ibom whose mandate he enjoyed for eight years as governor and almost four years as a senator. 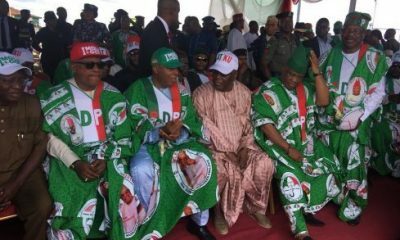 The PDP leader also accused the ruling APC of ‘arm twisting and intimidating’ people into their party and called on the people of Akwa Ibom to be wise. 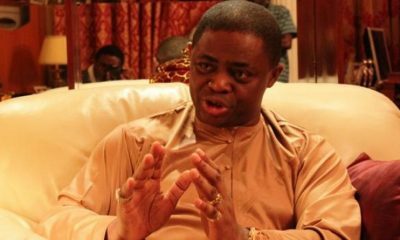 “I urge you to remain focused and continue to give support to your hard-working governor, His Excellency Emmanuel Udom, as he remains unrelenting in the delivering of democracy to the people,” he said. 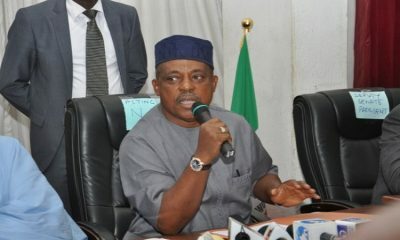 Secondus claimed that Nigerians have long turned their back on the APC while the PDP had already embarked on the mission to save the nation’s democracy and rescue the country. He added that the PDP rescue train has since left the station and picking Democrats along for the 2019 final destination. 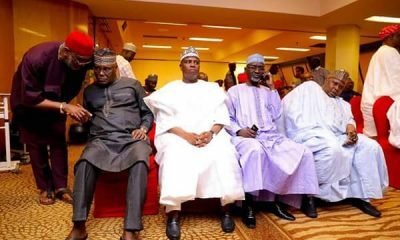 The National Chairman urged remaining democrats still in APC to make haste and join his party which he described as a rebranded and repositioned political platform. 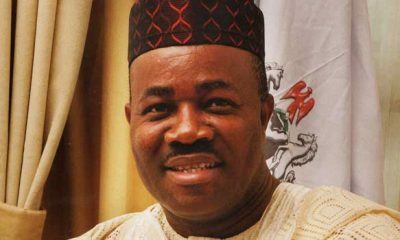 Naija News recalls that Senator Akpabio officially joined the APC at a mega rally organized in Akwa Ibom on Wednesday.